The Pulmonary, Allergy, Sleep and Critical Care Medicine practice offers comprehensive diagnosis, treatment, education, and rehabilitation services for a full range of pulmonary diseases and allergy conditions. The practice has an award-winning clinical program in asthma and expertise in fibrotic lung disease, bronchiectasis, pulmonary hypertension, sarcoidosis, and tuberculosis. Several of the physicians have been recognized for their excellence in patient care by the Consumers' Guide to Top Doctors. All of the physicians are board-certified in pulmonary medicine and some have additional certification in allergy and immunology and critical care medicine. Physicians offer careful evaluation and management services for a wide variety of allergic conditions including allergic rhinoconjunctivitis, perennial non-allergic rhinitis, sinusitis, urticaria, anaphylaxis, drug, food, and venom allergy, and immunodeficiencies. Special services include skin testing, allergy immunotherapy, intravenous gamma globulin therapy and when necessary, breath training, which may lead to fewer irritants inhaled and a less reactive immune system. Drug desensitization in an ICU setting is also performed when necessary. The Amyloid Treatment and Research Program is dedicated to the evaluation and care of patients with all forms of localized and systemic amyloidoses. The Amyloid Program is also a leader in molecular, cellular, and biophysical investigations of protein misfolding and amyloid fibril formation. Founded in 1960, BMC's nationally recognized Amyloid Program is staffed by a multidisciplinary team of clinicians from Nephrology, Neurology, Cardiology, Endocrinology, Hematology, Gastroenterology, and Pulmonary/Critical Care Medicine. Each year, over 300 patients from around the world undergo a 3-day evaluation through the Amyloid Clinic to clarify and define disease phenotypes so that a rational and effective treatment plan can be developed. Learn more about the Amyloid Treatment and Research Program. A comprehensive asthma and allergy evaluation is offered for patients with new onset or chronic severe asthma to assess potential triggers and to optimize asthma therapy. This includes investigation of asthma triggers such as environmental allergens in the home or workplace, gastroesophageal reflux disease, chronic rhinosinusitis, and nasal polyposis. Allergy skin testing and pulmonary function testing are a part of most evaluations. For patients with chronic severe asthma, ongoing management is directed at improving quality of life, and reducing the frequency of asthma attacks. In addition to routine allergy immunotherapy, anti-IgE therapy or breath exercise training is offered. The services also include education and treatment plans for women with asthma who are anticipating pregnancy or who are pregnant. Asthma specialists are available to patients by beeper 24 hours a day. A multidisciplinary program for patients with COPD, providing a combination of ongoing medical management, opportunity to enroll in clinical trials, and evaluation for lung reduction surgery or lung transplantation. The program educates patients with COPD and their families about the illness and teaches appropriate aspects of respiratory care, including inhaler use, oxygen therapy and equipment use, energy conservation, and nutrition. Consultation and treatment is offered for patients with general pulmonary conditions such as cough, dyspnea, lung nodules, recurrent pneumonia, and obstructive sleep apnea. 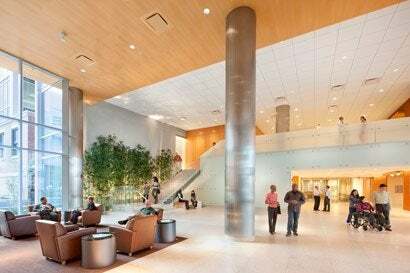 The center is equipped with the most advanced technology for pulmonary function testing, lung biopsies, CT and PET scans, and MRIs. Bronchiectasis is a chronic obstructive pulmonary disease (COPD) characterized by permanent damage to the lung’s major airways. Boston Medical Center offers the only coordinated, multidisciplinary program in Massachusetts to help reduce recurrent infections and treat symptoms of the condition with a focus on improving quality of life. Bronchiectasis is often associated with diseases such as cystic fibrosis, tuberculosis, and immunodeficiency disorders. 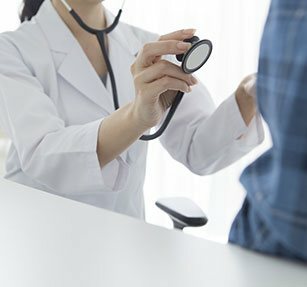 Comprehensive treatment of the condition’s underlying cause as well as management of its symptoms requires the expertise and communication of specialists from across disciplines, including allergy and immunology, clinical genetics, infectious diseases, otolaryngology, pulmonary disease, and thoracic surgery. From evaluation through treatment, patients can rest assured that they are receiving top-notch care from physicians and staff in an atmosphere specially designed for comfort and healing. Refer a Patient - 617.638.5795, #1111. Prior to your patient's first visit, please fax their medical records and a letter explaining the reason for the referral to 617.638.7486.